I've been ranting for the last week or two about atrocious examples of marketing from companies like Upwork, Freshbooks, and Canva. So it feels like a good time to change gears and get back to the things writers should focus on rather than avoid. This week's quick tip for writers is a bit of a lead-in to Friday's podcast episode. There, we'll explore ways indie authors can sell more books through better marketing (picking up tips from from another group that's mastered creative marketing -- indie musicians). Here's the thing. When it comes to writing a book, authors have creativity to spare. When it comes to promoting those books? Not so much. 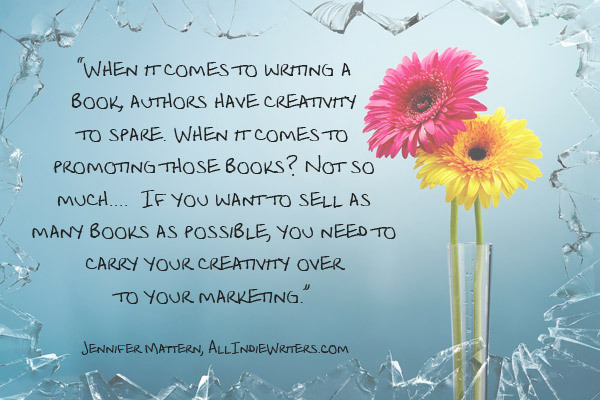 If you want to sell as many books as possible, you need to carry your creativity over to your marketing. It's OK to cover the basics. But whenever possible, put your own spin on things. Work with friends, family, or student actors to create a movie-style book trailer instead of the same old music-over-text-and-stock-photos variety (or hire a producer to do this for you if you have the dough). It's simple. Be visible. Offer something entertaining or valuable. And keep it creative instead of falling into the same old repetitive book marketing routine. What's the most creative thing you've done to promote your books? 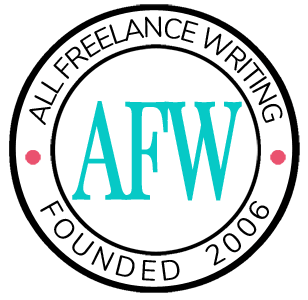 If you'd like more creative marketing tips for writers, sign up for the All Freelance Writing newsletter. Starting this week unique subscribers-only content will be delivered to your inbox every Thursday, including a new marketing quick tip every week (in addition to what you find on the blog). You can also subscribe to blog posts via email on a daily, weekly, or monthly basis. I want weekly marketing tips. It’s my understanding that the FTC frowns on giveaways that require a purchase to enter.